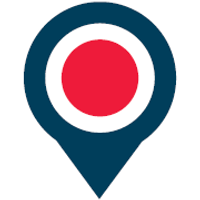 As at 31 January 2019, OnTheMarket.com displayed over 600,000 UK residential property listings. The Company’s UK property stock is already over 80% of Zoopla’s and approximately 60% of Rightmove’s1. This increase in coverage reflects the sustained rapid growth in the number of estate and lettings agent branches contracted to list on the portal since Admission: over 12,500 contracted branches as at 31 January 2019, compared with 5,500 in February 2018. Consumer engagement with the company is further evidenced by the number of active property alerts now operating, which has reached 1.5 million. OTMP’s agency branch base at Admission was almost entirely on paying contracts, the majority of which were long-term and at full-tariff. The growth in the base since Admission has been predominantly from offering free listings under short-term introductory trial offers, with a view to conversion to full-tariff contracts when the value of the portal has been demonstrated. “In less than a year since our IPO we have significantly reduced the gap in property listings between our portal and Rightmove and Zoopla and have dramatically increased the number of visits made to it. These achievements have produced strong network effects, manifested by the very substantial numbers of leads we are now delivering to our agent customers. *Visits comprise individual sessions on OnTheMarket.com’s web based portal or mobile applications by users for the period indicated as measured by Google Analytics. Data for leads generated is reported from the Company’s operating systems.